Benjamin Beaird is an associate with Hinkhouse Williams Walsh LLP. Benjamin practices in litigation with a primary focus on complex insurance coverage and claims analysis. In 2014, he was an extern for the Honorable David B. Atkins in the Chancery Division of the Cook County Circuit Court. While in law school, Benjamin served as Executive Editor, Publications for the Loyola University Chicago Law Journal. 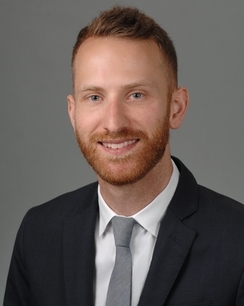 He worked as a student attorney in the Loyola Business Law Clinic, assisting clients overcome legal obstacles in nascent businesses, and as a client advocate in the Health Justice Project, aiding underprivileged clients with landlord-tenant and health law matters. Hinkhouse Williams Walsh LLP is pleased to announce that Benjamin Beaird has joined the firm as an associate.